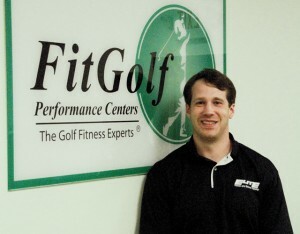 Let me take this time to thank you for your interest in FitGolf Pittsburgh, and to introduce myself. My name is Tim Humphrey. I have been golfing since the age of 10. I competed in junior tournaments, high school, and even college. I played 1 year at St Francis College in Loretto, PA for the late and great Bob Hahn. After my time at St Francis I decided to transfer to Indiana Univ of PA, and I actually put the clubs on the shelf to focus on my academic studies. The clubs ended up staying on the shelf for 6 years. In 2003 my dad convinced me to pick up the sticks again and take a golf trip to Myrtle Beach with him. From that time forward I was hooked again. In 2004 I went back to IUP for a graduate degree. After graduate school I decided to start training athletes for my career. In 2006 I started at Velocity Sports Performance in Pittsburgh and in 2009 I started my own business in Johnstown, Elite Fitness & Sports Training. Over my career I have had the pleasure to train 1000’s of athletes, 100’s of collegiate athletes, and even a handful of professional athletes. I have always wanted a career in golf and thought it would only come in the twilight of my career. In early 2014 I was presented a wonderful opportunity with FitGolf and knew it was too good to pass up. I am ready to take my game, and yours to the next level.